The exact size, composition and timing of the advisory group has yet to be determined. 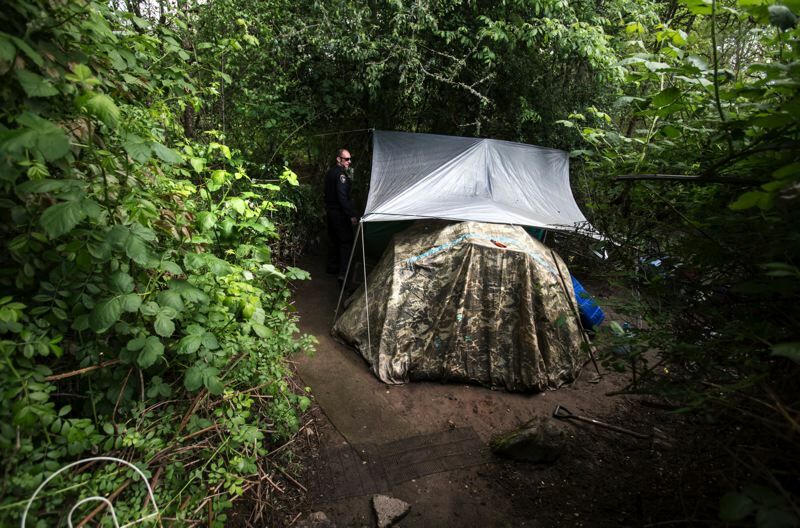 Homelessness is on the rise in the Portland area, a federal report released Nov. 17 suggests, and the issue has attracted the attention of city councilors, staff and police in Tigard. Suburban Tigard has not been immune to the region's homeless crisis and affordable housing shortfall. Police officers have spent more time in recent months interacting with transients in the community, according to the city, and the Tigard City Council has discussed the problem at some of its meetings this year. Last Tuesday, the council appeared to favor forming a short-term task force to recommend a course of action for the city. Council President Jason Snider agreed. The rest of the council was supportive as well, although Councilor Marland Henderson offered a check on what the city should expect. The end of homelessness can only be created by one way, and that is adding more homes, Henderson said. He added, I encourage, of course, everybody's efforts, but it's way, way deep. Mayor John L. Cook echoed Henderson's point. Kent Wyatt, a senior management analyst who addressed the Tigard City Council about the homelessness issue on Nov. 22, said the preliminary concept for the task force would be that it would meet regularly for about two months before presenting its findings to the City Council. It could get started as soon as early January, he suggested. We have plenty of folks who would like to volunteer for this committee, Wyatt said. Wyatt said this week that he envisions a task force consisting of nine to 11 people that would include representatives from the business and nonprofit communities, as well as at least one member who is currently or formerly homeless. The council will have a role in finalizing the task force's composition, he added. The intent with the task force would be to come back with short-term and long-term recommendations that are implementable by the council, Wyatt explained, noting that Cook has spoken previously about the role Tigard could play in making connections that would benefit its homeless residents. Some other ideas for addressing homelessness in Tigard were mentioned at Tuesday's council meeting. Snider suggested the city could hire a half-time social worker to work with the homeless population, taking some of that responsibility off the hands of Tigard police. Woodard wondered whether Milwaukie has seen any change in its homelessness situation since the Orange Line opened last fall, extending the MAX light rail system from Portland to the southeastern suburb, and suggested talking to Milwaukie city staff about the issue. The council also talked about picking up the tab for a post office box that Just Compassion, a Tigard-based coalition that operates a small day center for homeless residents, wants to use to provide transients with a mailing address in Tigard. That would likely cost $90 to $100 per year, Wyatt said.